WARNING: This is an extremely long and self-indulgent post. Okay, carry on at your own risk. On November 2, 2014, I completed the five borough, five bridge trek to Central Park. 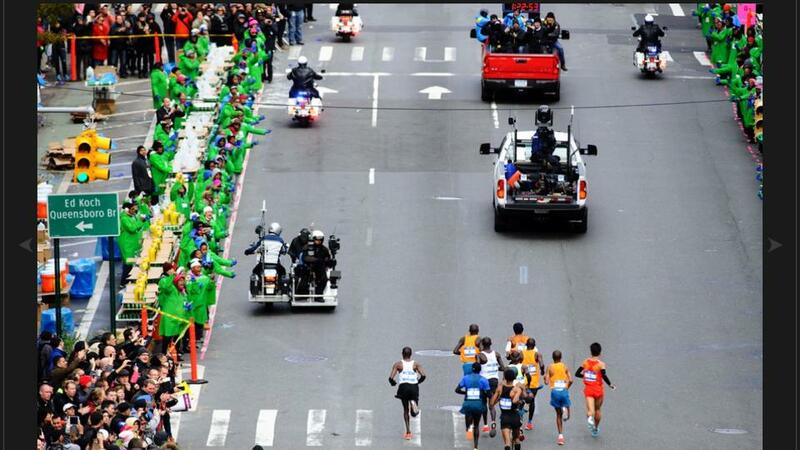 It was the largest marathon the world has ever seen with 50,875 participants. I am excited to be a part of history, until next year when I’m sure there will be even more runners. The week leading up to the marathon was a little overwhelming. There were the logistics: getting to the expo for bib pick up; navigating the huge expo; pre-race hydrating and fueling; race fueling; resting; laying out appropriate race clothing; transportation to the race; and organizing throwaway clothing to wear in the the slum village (I’ll explain later). I had my race clothes prepared two weeks in advance but had to change them the day before due to cold and windy weather that was being forecast a couple of days out from the race. And by Thursday night I was suffering with a head cold. Seriously??!!! 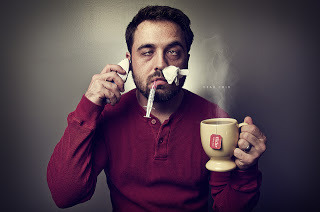 A full blown cold, just three days before the race. But the show had to go on. I tried to get as much rest as I could and drank a ton of hot drinks. By race morning I was feeling a lot better and was too excited to think about my congestion. I left the house while it was still dark out, which was really unfortunate since my wave (the we’re just happy to be here wave) wasn’t starting the race until 10:55 a.m. I headed to Lynbrook Runner’s Stop to take their bus to Fort Wadsworth on Staten Island. We had to cross the Verrazano by 7:00 a.m. before it got shut down for the marathon. The idea was to get to Fort Wadsworth and then wait in Marathon Start Villages aka Slum Village for your wave to begin. Because runners had to wait for hours in the Villages, it was necessary to bring warm clothing and/or blankets that you could leave behind. So it looked like a small town of panhandlers. I actually saw some people in footie pajamas. Mercifully, our bus arranged for warm accommodations for as long as possible. So by the time I arrived at Fort Wadsworth, it was time to check my bag and line up at my corral. Just in case I forget to say this later, do not check baggage for this race. You will be penalized. More on this later. 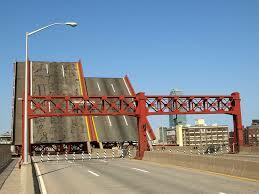 The Staten Island portion of the race was basically the Verrazano Bridge. It would be easy they said. Don’t go out too fast they said. It will be over before you know it they said. Now I had read that you would know if you were in trouble at around Mile 15 (the Queensboro Horror) but I could tell that trouble was afoot in Mile 1. The wind was blowing so hard that NYRR started the wheelchair division on the other side of the bridge in Brooklyn. There were sustained winds at 35 mph and wind gusts up to 45 mph with a wind chill of 32 degrees. Awesomeness!!! The Throwaway clothing was being picked up by the wind and was flying through the air. I couldn’t wait to get off the wretched bridge but it just seemed to go on forever. What a sweet reprieve. As soon as we got off the bridge, the party started. Brooklyn was off the chain. The crowd support was amazing. The first group that I saw were police officers, cheering for us as we ran off the bridge. I put my headphones away and let the crowd carry me. However, it didn’t escape me that there was a band playing “Another One Bites The Dust” in Bay Ridge. We were only at mile 3, it was a little early for all of that. “We Are The Champions” might have been a more appropriate Queen selection. Not nice. I have my eye on you Bay Ridge. As my running buddy Sharon and I got to the right-hand side mile 4 water station on our side of the street, there was a little confusion as the water was not ready. We had to wait for a volunteer to pour it. It was a small but unexpected glitch in the matrix. The party continued down Fourth Avenue. The 4:45 pacer passed us. I was cool with that. I was enjoying the party. The music genres would change every couple of blocks but it was high energy the whole way. I may have seen my favorite sign in Brooklyn, it said, “Timmy Don’t Trust Your Farts.” Wise word, but probably more fitting at mile 18. By the time we got to Flatbush and Atlantic Avenues, Sharon was twirling and running backwards while jamming to the music. She must have had Energizer batteries for breakfast because I was trying to conserve what little wind stomped energy that I had left. 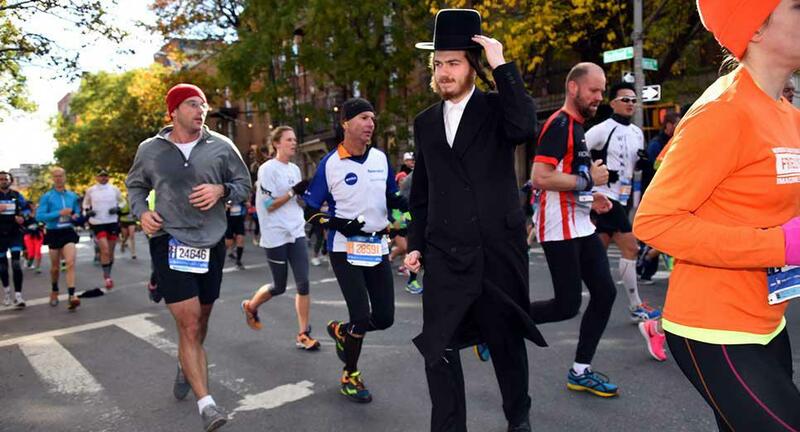 The only time things got quiet was while we ran through the Hasidic community in Williamsburg. It’s just as well there was no music because you needed to concentrate on not running over pedestrians. People would casually stroll across the street in front of you just when you were feeling like Meb or Deba. Then we crossed an intersection and as if on cue, the intro to Jay-Z’s New York State of Mind came blaring through a DJ’s speakers. As the beat dropped the runners erupted into a huge cheer and the party recommenced. Hercules, Hercules!!! 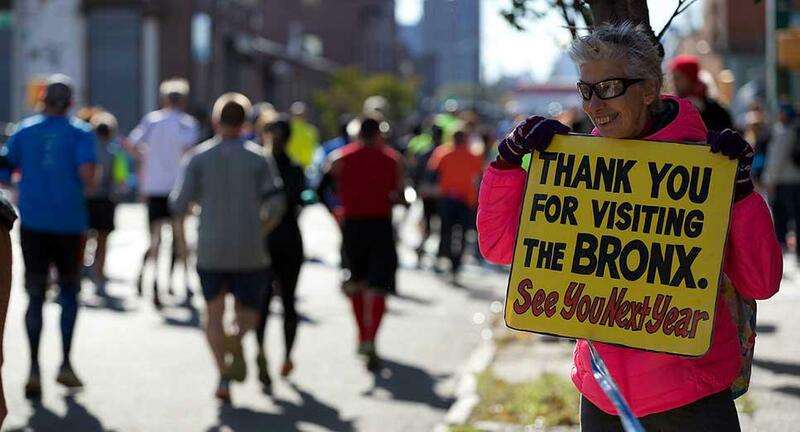 At mile 13 it was time to leave Brooklyn by way of little spoken of Pulaski Bridge. Okay so maybe it didn’t really look exactly like that but it felt that way. Our saving grace was that it wasn’t that long. Queens had a lot of good music and great spectators. At one point, a couple of runners behind me were complaining about the awful mysterious smell in the air. I figured if they didn’t know what weed smelled like at this point in their life, I was not going to be the one to break it to them. Party on Queens!!! Energizer had made a pit stop earlier but I didn’t trust myself to stop at that particular point so I continued on alone. Now as I ran onto the Queensboro Bridge I was prepared for the worst. It’s a pretty tough incline at mile 15 and there is no crowd support on the bridge. Most of the runners began walking. I reconnected my iPod and ran as much of the one mile dragon as I could. I was excited as I ran off the bridge, not only because I was entering Manhattan but because I was approaching the BGR! Mile 16 water station. And there it is, the Mile 16 water station that is (wo)manned by Black Girls Run! It didn’t quite look so virginal by the time I got there but you can imagine how excited I was to see familiar faces. I entered First Avenue on the left and but was looking to my right to see if I could spot BGR! Long Island because the left side seemed to be mostly NYC ladies (I love them too). By the time I got three quarters of the way through I saw Shari and Mama Rose. I love me some Mama Rose, she might be the most happy and positive person I know. It was then that I reached for a cup of water from Lisa, an inspirational member of BGR! NYC. It turns out that Long Island was on the right. Regardless, I was feeling tremendous love from all the BGR ladies. It was awesome. However, by the time I got to Mile 17, I was feeling really tired. Sharon the dancing Energizer Bunny had caught up to me and was going strong. A pacer was passing me. Wait just one minute, that’s the 5:15 pacer!!! For a fleeting moment I flirted with the idea of running with the pacer. That lasted less than half a second. Instead, I took a walk break and had a few bites of a peanut butter sandwich that I had stashed in my Spi Belt. I heard someone yell, “You can do it Jennean!! !” I looked towards the voice and saw a random stranger looking at me encouragingly. I kept forgetting that I had my name sewn onto my hat. I waved at him and started running. It was at this point that they started to move the mile markers further away. 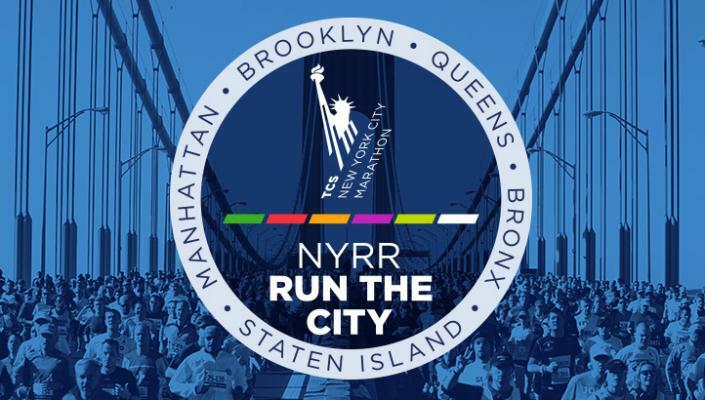 What gives NYRR, TCS, whoever? During mile 18 I decided to investigate the shenanigans and realized that the markers were fine and just maybe they seemed further away because I had resorted to running a 15 minute mile pace. Yikes!!! I plodded along to the Willis Avenue bridge and entered what I expected to be the marathon dead zone … the Bronx. Boy, was I wrong!!! I turned the corner after the bridge there was a man with a microphone standing in the middle of the street yelling, “Welcome to the Bronx!” Old school hip hop was blaring and the spectators were on level 10. The Bronx was the place to be. I decided to use the mile 20 porta-potty because the line was short and it was a good time to regroup for the journey ahead. 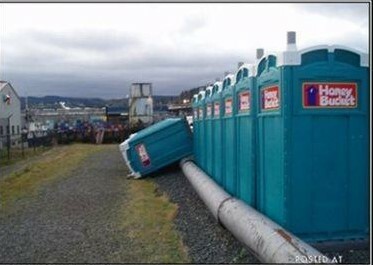 Problem was, it seemed I hit “the wall” in the porta-john. I mean seriously. As much as I hate the porta potties (and believe you me, this one had been used and abused) I was more than happy to hang out in there for the rest of the day. There was no wind blowing on me and no running. I don’t even know how long I stayed before I started wondering what would happen if the wind blew it over with me in it. News Report: Missing marathon runner found in overturned Bronx porta potty. It appears that she has been in said porta potty for 10 hours. She is now recovering at a nearby psychiatric facility. So I reluctantly left the porta potty and began running again. I looked to my right and there was a spectator who looked right at me and held up six fingers. Yeah, I can do this. I only have a 10K left. I picked up the pace a little and journeyed on to the Third Avenue bridge. At the tail end of the bridge, I distinctly remember thinking that no one had better be playing Jay-Z’s “New York State of Mind” when I re-entered Manhattan. I was officially cranky. Thankfully, the DJ was playing gospel music when I entered Harlem U.S.A., specifically Fred Hammond’s “Lord Your Grace.” I mouthed the lyrics, “Your favor is just what I needed.” I felt a little better but my thighs were feeling heavy and tight as I approached mile 22. That’s when I saw the BGR cheer squad. They were yelling “BGR, BGR” and had lots of signs. One said, “All Toenails Go to Heaven.” I waved frantically. 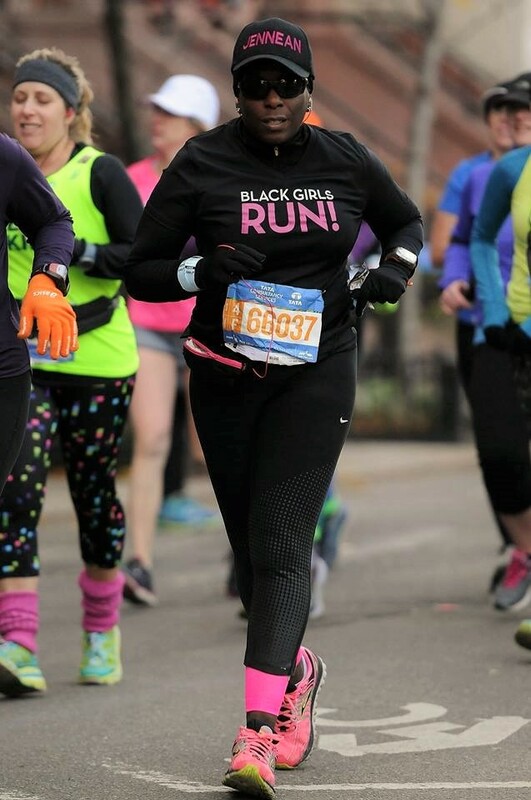 As I ran down Fifth Avenue I heard more spectators yelling, “BGR.” I was hurting at this point and was just focusing on trying to keep running. I gave deep nods and kept going. As I approached the mile 23 hydration station, my quadriceps were cramping and so I moved over to the side to a police barricade and tried to stretch them out but the cramping got worse. So I hobbled on over to the hydration station and grabbed some Gatorade but suddenly the cramp in my right leg got so bad I couldn’t even drink it. One of the volunteers told me to go to the medical tent and pointed it out. It was just a few feet away and by the time I got there I could barely speak due to the pain. A volunteer took my Gatorade and I managed to tell them that I was having cramps in my legs in between my cries of pain. There were two volunteers massaging my legs to no avail. One of them asked me if I wanted salt. I really had no idea what I needed I just wanted the pain to stop. So I screamed, “Yes.” I took the salt and … nothing. I was still in pain. Now I’m freaking out because I don’t think I’m going to be able to finish the race because I couldn’t even walk. Then it was “Tylenol?” Of course the response was, “Yes, Yes.” Then, “Gatorade?” Here’s where things got dodgy. I told them, “I have Gatorade, I have Gatorade.” They looked at me like I was crazy. So I clarified, “I gave it to the lady.” Suddenly everything stops and they look at the volunteer who led me into the tent. With wide eyes she says, “Oh, I threw it away.” I must have looked like I was going to kill her and she got the side eye from one of the other volunteers, who was probably afraid for his life. Next thing I know, one of them hands me a 24 oz bottle of Gatorade. I take a couple of sips and after a few minutes the pain starts to subside. I thank the volunteers, who I’m sure were glad to see the back of the screaming mad woman, and start walking. I only have 3.2 miles to go. I am finishing this race. So now I’m walking and sipping on my massive bottle of Gatorade. The 5:30 pacer passed me but I couldn’t have cared less about my finish time. I’m just happy that I can walk. But after a while I just wanted the thing to be over, so I start running again and I’m cradling my Gatorade bottle like a newborn. At mile 24 we enter Central Park. As much as I despise Central Park this is exciting because the race ends in the park. I ditch my Gatorade bottle and start moving. Then, hold up!!! Suddenly, we are no longer in the park. It is mile 25 and we are back on the street. For some reason I didn’t like this turn of events. My aching body couldn’t take the psychological warfare. We eventually wound up back in the park and I was too happy to see the 26 mile marker but braced myself for the .2. I was actually surprised when I saw the finish line appear so quickly. I couldn’t believe I was about to be a marathoner. It took me 5 hours, 37 minutes and 34 seconds to cross that line but I did it. 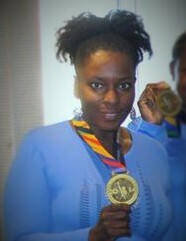 As the volunteer placed my medal around my neck, he looked me in the eye and said, “Black girls do run.” It was an awesome moment. So after running yourself into the ground you now have to walk another 14 blocks to get out of the Park if you checked a bag, which I did. 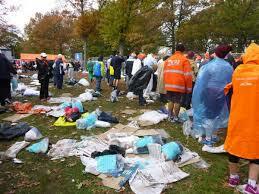 If you did not check a bag you had to walk five blocks to exit the Park to pick up your marathon poncho. I only checked my bag to get access to warm, dry clothes and my mandatory chocolate milk recovery drink as soon as possible. Turns out the ponchos were fleece lined and very nice and chocolate milk was provided in the recovery bag provided at the finish. So I would recommend that future NYC Marathoners check the no baggage designation prior to the NYRR deadline. Thankfully, the Lynbrook Runner’s Stop bus waited for all of its runners to return a few blocks away from the exit. Although my recap sounds like I had a miserable time. It was an awesome experience that will stay with me forever. I have dreamed about running the New York City Marathon for over ten years but never really thought it would actually happen. Sometimes dreams do come true. If I’m honest, I will say that I was a little disappointed with my time as I wanted to finish in under five hours. But as we runners say, it was enough to just finish my first marathon. The other thing all decent runners firmly believe is that unless you are an elite professional, we do not compete against others, only ourselves. Now with that said, I will compare my time with some members of the 1 percent marathon club with whom you might be familiar. Oprah Winfrey (4:29:15 – 1994 Marine Corp Marathon) – She schooled me. Sean (P. Diddy Combs) (4:14:54 – 2004 NYC Marathon) – Beat by Puffy. Angie Martinez (7:45:57 – 2014 NYC Marathon) – I beat her, handsomely. Tiki Barber (5:14:37 – 2014 NYC Marathon) – Yup, he beat me. Pamela Anderson (5:41:03 – 2013 NYC Marathon) – Ha ha, so what if you can run on a beach? Caroline Wozniacki (3:26:33 – 2014 NYC Marathon) – Whatevs, she beat most people. Terri Hatcher (5:06:42 – 2014 NYC Marathon) – Not bad for a desperate housewife. Mya (6:59:39 – 2011 NYC Marathon) – I beat her, I beat her.